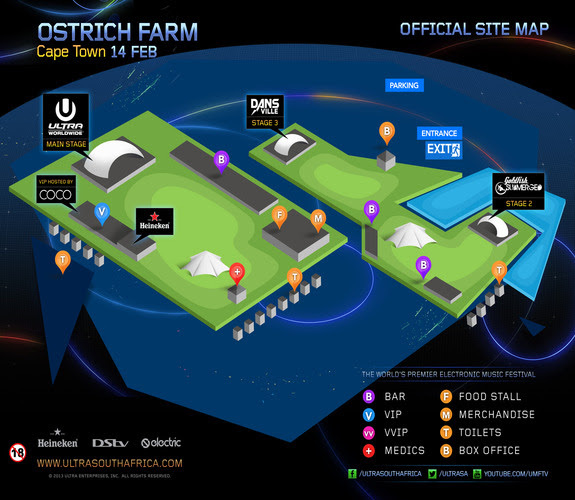 With the inaugural Ultra South Africa less than a month away, festival organisers have today announced the final stage layouts and lineup additions for Ostrich Farm, Cape Town and Nasrec Showgrounds, Johannesburg. 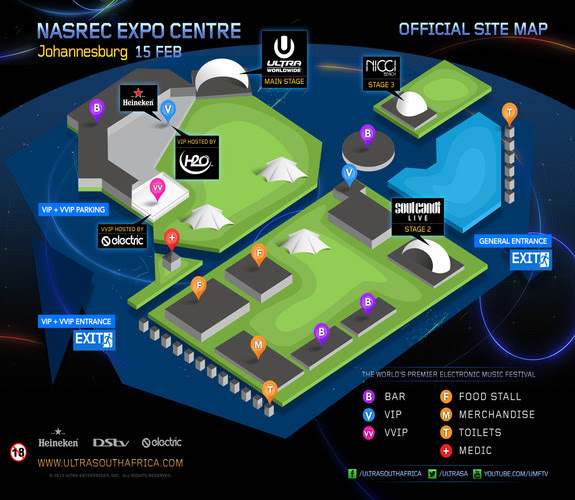 With an impressive 3 stages per city, fans attending the Premier Electronic event in Cape Town and Johannesburg can look forward to gargantuan main stage designs, each hosting eight of the world’s hottest DJs. 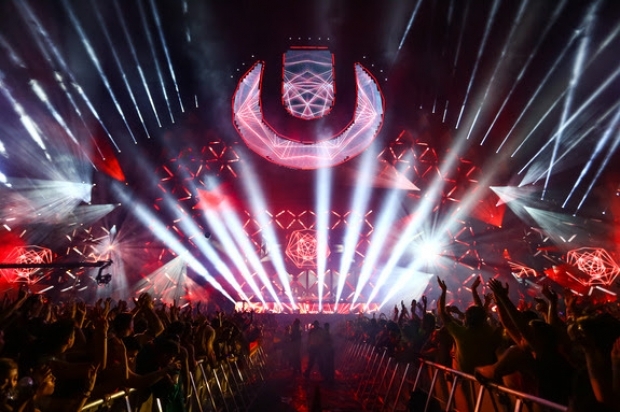 Welcoming the likes of Tiesto, Afrojack, Alesso, Nicky Romero, Krewella, W&W, Martin Garrix and Blasterjaxx each city’s main stage will also come complete with the top level production and sound quality for which all of Ultra’s worldwide events have become so famed. Directly linked to these main stage floors will be the Heineken VIP and VVIP areas, which will integrate an exclusive Heineken experience with the two hosting brands. The VIP area in Cape Town will be hosted by the auspicious and glamorous nightclub, COCO, and in Johannesburg by the much-loved H20. The second stage in Cape Town, entitled ‘Submerged’, will be aptly situated on the side of a stunning, picturesque lake and hosted by none other than local heroes Goldfish. Among others, this floor will feature the very best in house, deep house and techno music, including San Francisco native Claude Vonstroke, Coco Loco, Lady M, Floyd Lavine, Claudia Levisa, Chris Jack and many more. 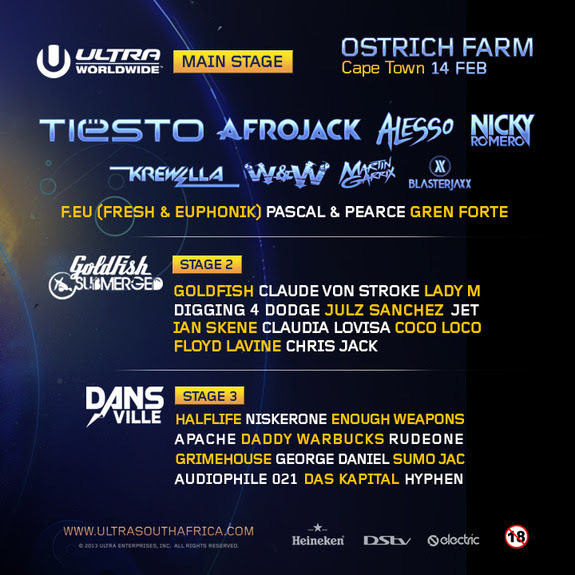 Lastly, ‘Dansville’ – one of Cape Town’s most loved bass music brands and synonymous with the very best in electro and trap through to drum ‘n bass and dubstep – will be hosting their very own stage featuring homegrown stars such as Das Kapital, Hyphen, Niskerone, Grimehouse, Halfilfe and many more. Providing the second stage in Johannesburg in less than a month’s time, Soul Candi will be bringing Ultra South Africa the deep sounds of Black Coffee, Mi Casa, Crazy White Boy, Harael Salkow and many more, on a floor dedicated to showcasing the very best, most forward thinking underground soundscapes around. Lastly, Nicci Beach refreshes the event with a touch of their signature sounds with up-tempo cracking house and electro music from the likes of Haezer, Rocca & Martini, Mark Stent, Lady Lea, Ryan Dent and many more. 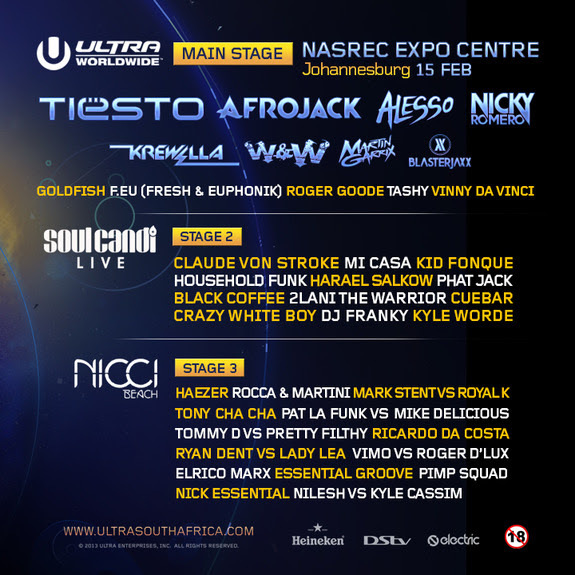 All the floors featured at Ultra South Africa will include dedicated full bar services, express bars for Heineken drinkers, food markets that will have an array of foods from Indian to Mediterranean, assured to tickle taste buds, as well as merchandise for sale. Final line up information for each of the stages can be found below.